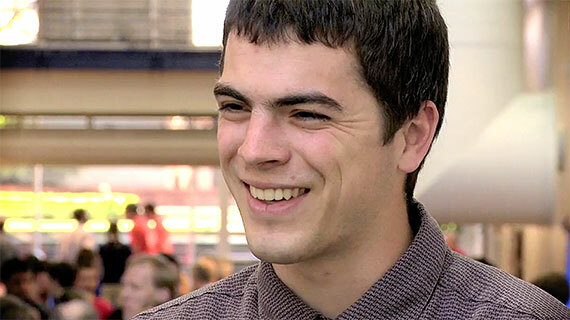 George Fox civil engineering students prepare for a “people-serving” profession in the optimal learning environment – a Christian engineering college centered on preparing students for a successful and purposeful life. 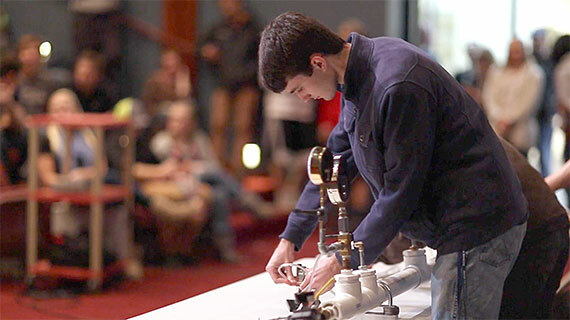 In this concentration within the engineering major, you’ll study alongside faculty-mentors who understand and value your goals. Civil engineers design and develop infrastructure projects that meet the needs of everyday human existence. They plan, design and construct solutions involving public facilities and infrastructure – from highways, bridges and buildings, to water purification systems and environmental impact studies. In the civil engineering concentration, you’ll learn the fundamental principles of all the discipline’s branches and study deeply in one of program’s specializations – transportation, construction and civil planning, structural, environmental, geotechnical and water resources. Outstanding professors who teach in small classroom settings ensure that you gain a solid foundation in technological theory, while also helping you connect conceptual ideas with hands-on experience. 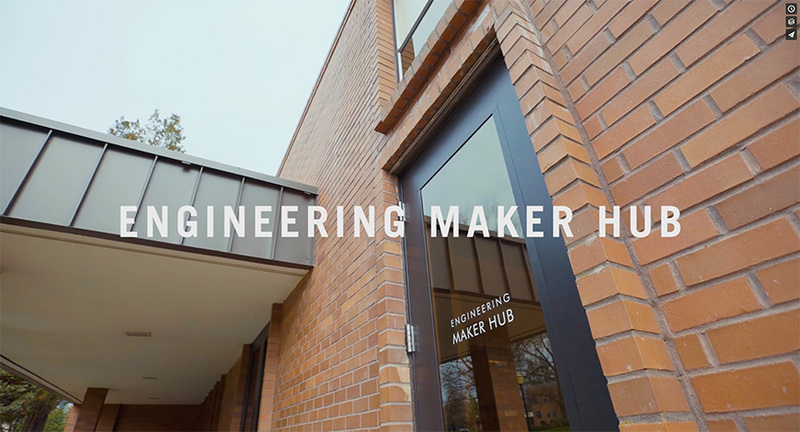 You’ll gain all the necessary tools to work on design-build projects in the Engineering Innovation Center’s “maker hub” – a 6,000-square-foot configurable project-build space. 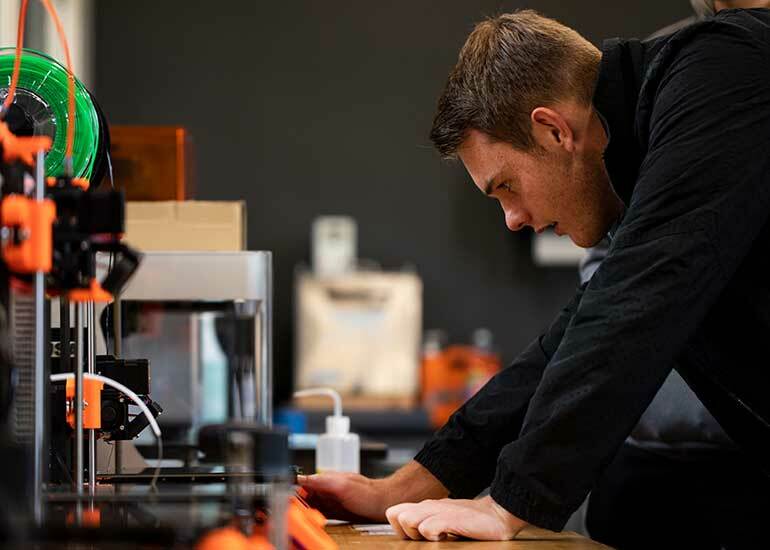 Students also build together in high-tech design studios; machine, welding and woodworking shops; the computer design lab; a tool room; an additive manufacturing lab; and in environmental, geotechnical, and construction lab spaces. 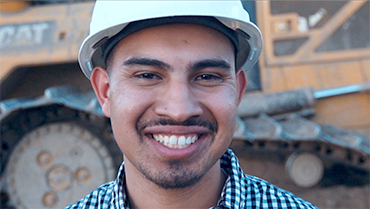 The real-world experience you gain building projects in multidisciplinary teams throughout the four-year program provides a valuable edge as you launch your career. 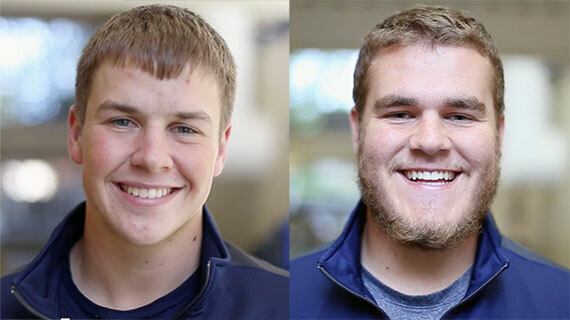 Civil engineering students at George Fox value their ability to offer Christ-centered service to benefit others, even before they graduate. 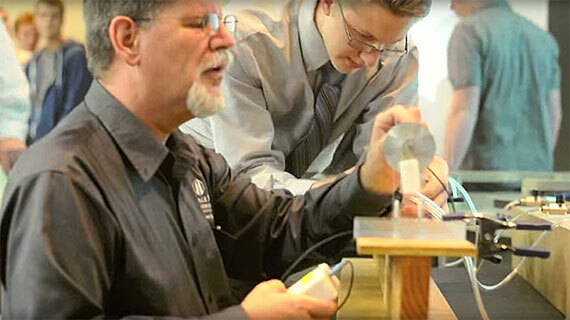 The Servant Engineering program strongly emphasizes the importance of offering technical skills to improve lives. 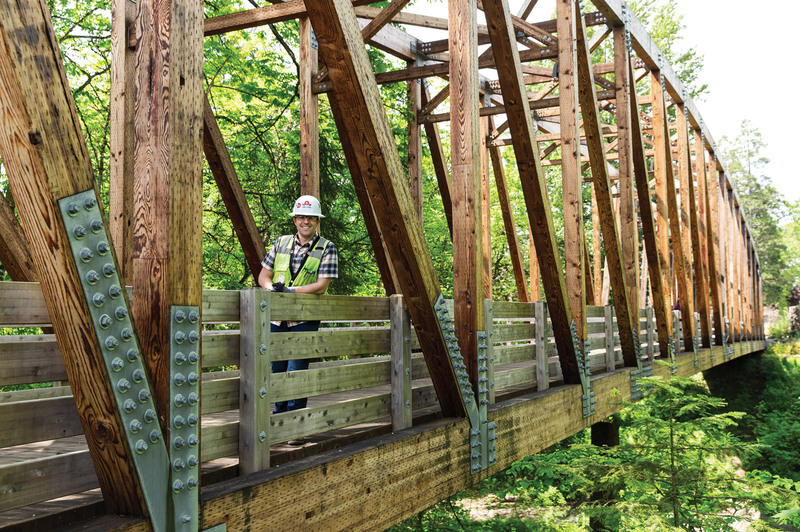 As part of the core curriculum, students create solutions to significant technical challenges – for instance, designing a bridge at a ranch for fatherless youth in Yamhill, Oregon. Your spiritual growth is a high priority. Christian professors integrate faith and learning throughout the curriculum – ensuring the theory, design, project implementation, and planning for the future rest on a solid faith-based foundation. 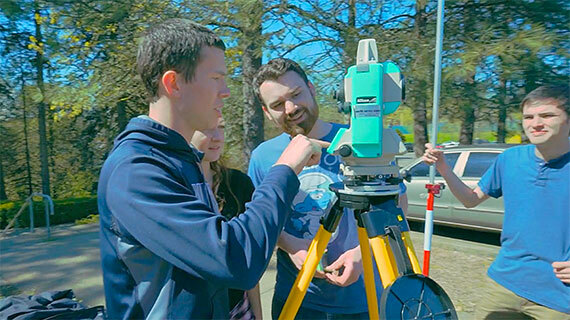 Request more information about the civil engineering concentration at George Fox University or schedule a visit to begin your education at Oregon's Christian university, ranked as one of the top Christian colleges in the nation by Forbes. Bachelor's degree graduates earning engineering degrees are expected to be the highest paid, leading all STEM graduates, according to the 2016 Job Outlook survey conducted by the National Association of Colleges and Employers. Job growth for engineers is expected to rise, according to the Bureau of Labor Statistics, due to an infrastructure that continues to age (civil engineering), the ever-increasing demand for highly skilled computer scientists, and the ability of electrical and mechanical engineers to develop and apply new technologies. “Job prospects may be best for those who stay abreast of the most recent advances in technology,” notes the BLS. Take a walk around the east side of campus and you’re sure to be impressed by all the new structures that have been added over the past few years.